Mr. Braunsperger brings with him a wealth of experience and domain knowledge. He comes to Hero from BMW, Germany, where he worked for the past 25 years in several senior roles in R&D, Production and Strategy including heading the entire R&D function for BMW motorcycles for several years. 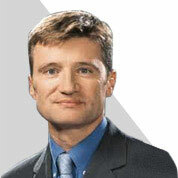 He was responsible for project management for key product lines such as 5/6/7 series and X3, X5 and X6 (four wheelers). Mr. Braunsperger has complete ownership of the Technology function and works with all functional leaders to further build on the leadership status of Hero.